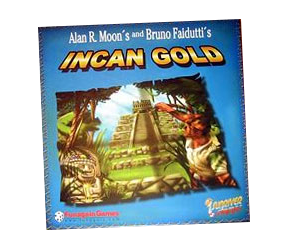 You and your fellow adventurers travel to Peru to find a ruined Incan temple and its treasures. A fun, fast, push-your-luck card game formerly known as Diamant. Players are archaeologists venturing into a ruined temple in search of treasure and artifacts.